Not sure what you can do with your block and how much you can build? 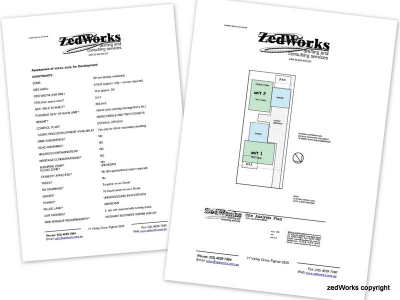 ZedWorks now offer a site assessment service. For a fixed fee (currently at $350 plus gst and costs), we will prepare a written report assessing your site’s suitability for your intended use. Development of outline site layout of scheme allowing for site constraints and to comply with statutory requirements and council and/or state codes. If after perusal of this report, you wish to move to next stage of development with ZedWorks, the report fee will be credited to your next account.